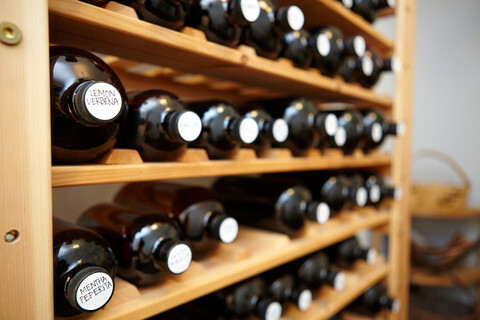 THE CONCEPT OF HERBALISM DATES AS FAR BACK AS THE ORIGIN OF HUMANKIND. From the use of plants as nourishment, medicine, healing and calming agents, it’s no wonder mother nature’s versatility has now found itself packaged in the beautiful brand Earth Tu Face. I first came across the cult label while shopping at gourmet market All Good Things in Tribeca where I stumbled upon a pale pink cylinder of geranium and vetiver skin stick sitting beside a small glass bottle of palmarosa and aloe face wash. The packaging may have initially caught my eye, but it was the intoxicating list of ingredients that inspired me to throw it in the bag. 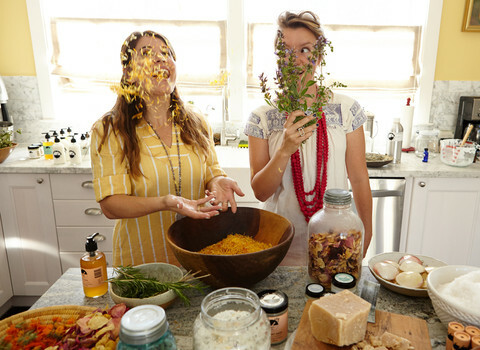 We caught up with Sarah Buscho and Marina Storm, the ladies behind this pure, natural line to find out how they stay nourished and why going organic is not just meant for the food we eat. How did Earth Tu Face come about? We were both working in health care as herbalists and made products for our own use. People we knew started using the products and word spread. We wanted to deliver natural products that create glowing results and are safe for everyone from children on (we intentionally chose ingredients with low allergy risks). What inspired you to start using natural products? When I was born I could only wear a 100% cotton. Any other material would give me eczema all over my body. I never found skincare products in drugstores that I could use without a reaction. Instead I used simple, pure, organic food formulations on my face from my kitchen. 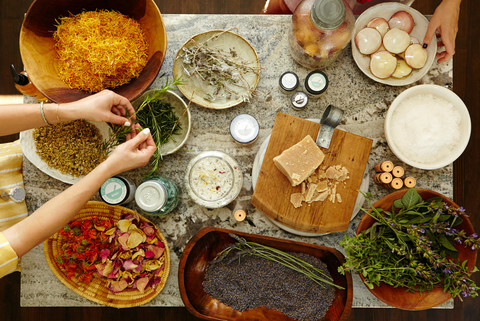 Merging with Marina’s expertise as a fellow herbalist, took the formulas to another level. We wanted to come from a place of putting health first: health of the people using the products, and health of the planet creating and supporting the line. We always like to create win-win solutions. What drew each of you to becoming herbalists? Both of us were pulled to become herbalists for many ethical, environmental and personal health reasons. It can be succinctly summed up that the healing power of nature continually amazes and inspires us. Why is it better to use all-natural, organic products on the skin? 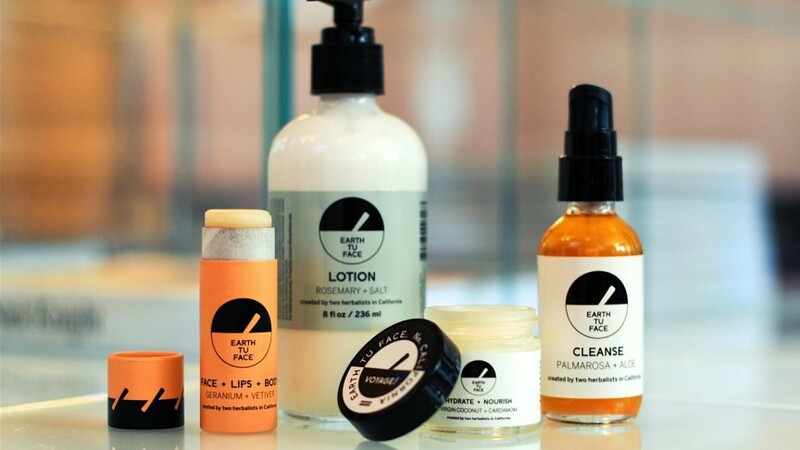 Earth Tu Face is made in California. Our goal is to be green for the planet and our clients. We selected plant ingredients we could obtain sustainably – meaning we sourced plants that are not endangered and are produced in ethical ways. We do not use natural ingredients that are fantastic for the skin but irresponsible for the population of that plant or damaging to the planet in any way. For example we do not use palm oil – the crop is destroying the rainforest and primate habitats unfortunately some natural brands continue to use it. 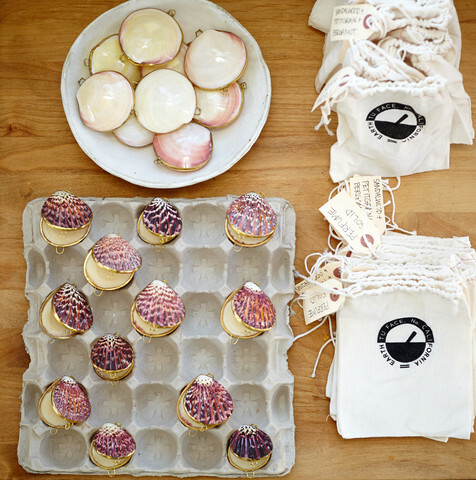 Our packaging is entirely in glass or compostable materials, minimizing the use of plastic. Earth Tu Face is also 100% edible. The line is made with actual food-grade ingredients. This makes all our products biodegradable. 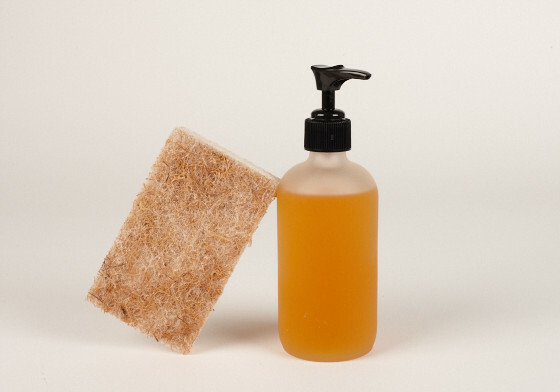 You can take them backpacking or have the peace of mind knowing no chemicals are going down the drain when you shower. What type of results can one expect after switching to using organic, all natural products on their face? The results people can expect are less irritation, deeper nourishment, healthy skin cell turnover, and little chance that one’s skin will have allergic reactions. What are the top 3-5 ingredients people should avoid when buying beauty products? Always seek out the list of worst ingredients that are in products but the single most important ingredient to avoid is plastic. Plastic beading (in exfoliates) and plastic packaging that just ends up in our world’s waterways. Followed by petrol chemicals and palm oil or products that use endangered plants. I love the extensive Glossary on your website, is there one oil or herb in particular that is a “skin saver” or “super ingredient” for the skin? Yes, what is fantastic is there are so many! 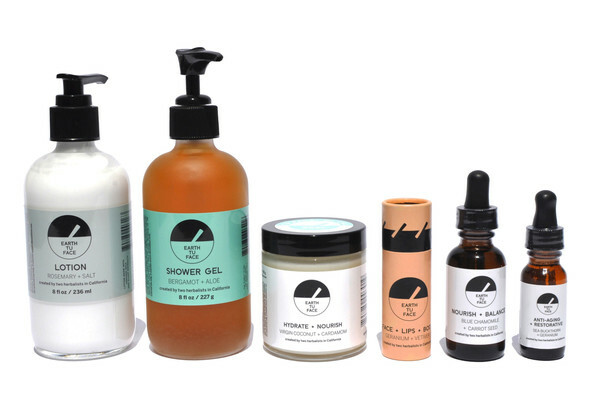 Cold pressed organic oils, Rose Geranium extract, Chamomile essential oil, and Sea Buckthorn are some of our favorites for all skin types and conditions. What is your particular philosophy when it comes to well-being? Live your personal truth. We all have unique gifts to bring to the planet – living a healthy life means listening to your body and honoring your own personal needs. Also, we are firm believers in creating connection through being of service to the planet. As new business owners Marina, it was hard to find that balance, but we make sure to include things we love like movement and laughter in our workday. 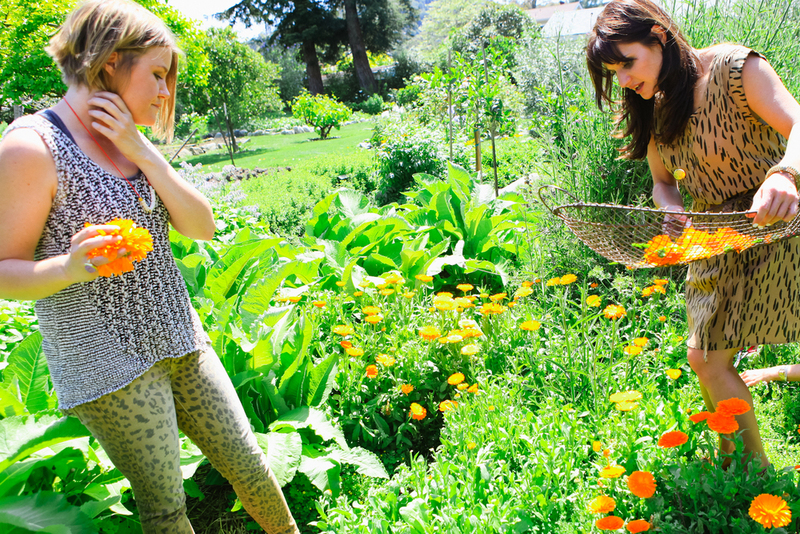 Everyday we drink herbal tea from our gardens as well as eat fresh vegetables and fruit we grow. That helps us stay grounded. What is the latest healthy discovery you’ve made? We are currently obsessed with Jasmine blossoms! Do you have a non-negotiable healthy habit you do everyday? We are both committed to eating regular healthy meals and laughter. We make each other laugh all day long which really helps us thrive during the natural ups and downs of owning a business and it helps us keep things in perspective.